The Toby Center is a complete program of the many services separated and divorced parents and their children require including supervised visitation, therapy, family mediation and support. The Center is a uniquely holistic model addressing the individual’s emotional, psychological, and physical needs to maximize personal growth through personal understanding and willingness to adapt to what is often traumatic change. Staff are compassionate, and skilled to offer family members more confidence as they adjust to current changes and transition through co-parenting and household adjustment. The Toby Center Logo was donated by Dr. Richard Sauber. The foremost forensic psychologist whose mother created the original painting titled "The Family", a tribute to the holocaust. 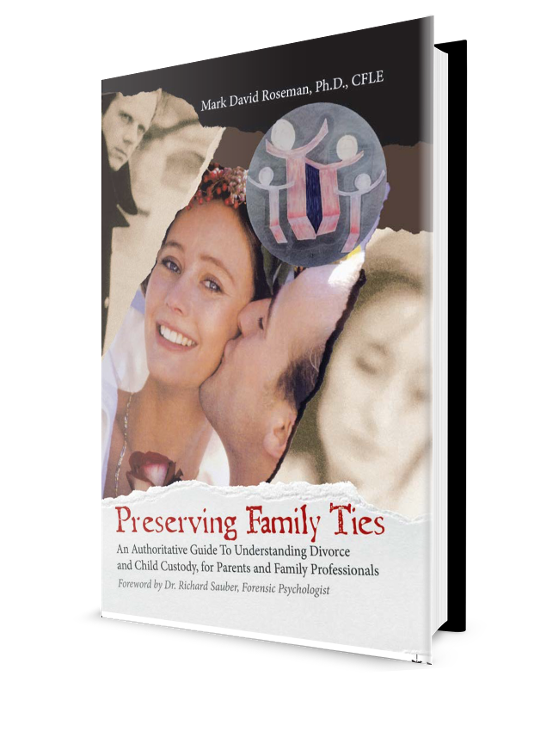 "The reference book by Dr, Roseman provides all readers with a common understanding of divorce dynamics, child custody variables, and opportunities for improved child outcomes when parents decide to separate and divorce. Parent alienation is included in the text but it should be avoided at all levels for each parent."